The Monsignor David M Stotenbur council is located at the Catholic Community of St. Jude in Dewitt on 801 N. Bridge street. The Grand Knight for 2018-2019 is SK Andrew Rademacher. Council meetings are held at the Catholic Community of St. Jude Community Center on the second Wednesday of every month at 7:00PM, during the winter months and at 8 PM during the summer. The Monsignor David M. Stotenbur Council #7237 was chartered on February 8, 1979 through the efforts of the Catholic men of the Catholic Community of St Jude in DeWitt. It is named after Monsignor David M. Stotenbur, the founding chaplain of the Council. 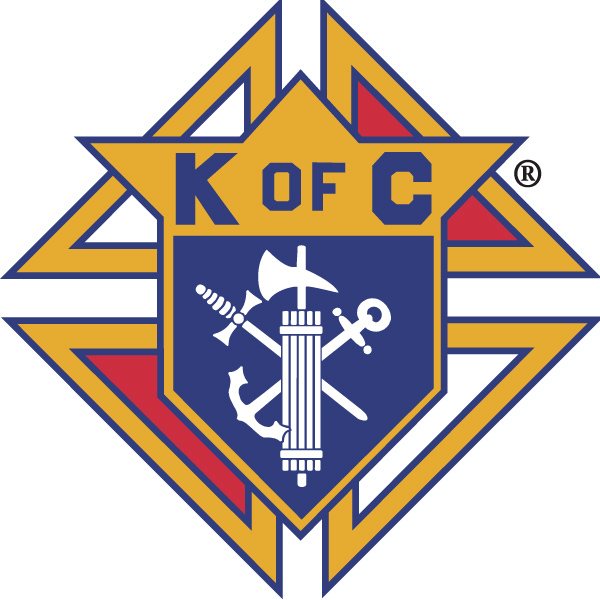 The Monsignor David M. Stotenbur Council works closely with the Catholic Community of St. Jude, while also providing funds for numerous church and community projects in the DeWitt supporting the values of the Knights of Columbus. The Council has a busy schedule with many ways to be involved in our projects. Please see our calendar of events available under the "minutes" link above or under the Activities link. Join us for one of our worthwhile events and help serve our Order. The Council’s Corporate Communion will be held on Sunday, March 31st at the 11:00 AM Mass. Please plan to attend this Mass to show our support of the Parish. Please wear your Knights logo’d shirt (if you have one). April 12-14 The Annual MI drive (Tootsie Roll drive) will be held to raise funds for those in need. Watch for the “Sign-up Genus” invitation in your mailbox or call GK Andrew Rademacher at 517-819-8692 to sign up. This event is open for your family members to join you help raise funds for this great cause. Our Lenten Fish Fry Dinners are underway, if you would like to pitch in to help, please call Joe Ciaramella at 517-749-8758 to sign up for a shift or two. The Council Millionaire Party will be on May 1-4 and workers are needed to help. Watch your e-mail for the “Sign-up Genus” invitation. You must be a member of the council to help on this event. Please Don Carlock at 810-577-6576 for details. No Mass Beads and Brews in March - please attend Soup and Substance instead. The Monthly Family Fun Night is on March 24th at 6 PM in the community center at the Parish – All are welcome to put your card playing skills to a challenge. District 56 which serves our council along with Westphalia, Fowler and St. Johns councils is hosting a Taco Dinner with a home-made dinner, prizes, raffles and fun is included. First Degree (or practice) prior to the start of the Meeting. The Business Meeting Minutes are available on-line (see the Minutes section at the top of the page). The minutes are posted after approval at the following meeting. If you would like a copy e-mailed - please subscribe to our e-mail list on the right side of the home page. This is the best way to be be sure you are receiving the most up to date information from our Council.